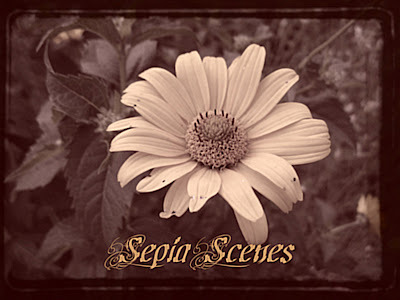 Hey, welcome to Sepia Scenes! This is my niece, Carol, and she took this photo with her phone and sent it to me because she wanted to show me her "tracks" that she put in her hair. Can you see them there on her left? I like them. I sepia-ized and blurred the pic to take away some of the graininess of the shot! Please sign Mr. Linky and leave a comment. And, of course, visit your Sepia Scenes friends! Click my name and you'll end up at my Sepia for this week! Your color-selective shamrock header makes me smile. You have a lovely daughter. Funny - I posted a photo of my daughter as well this week! Thanks for hosting Sepia Scene, I really enjoy it. 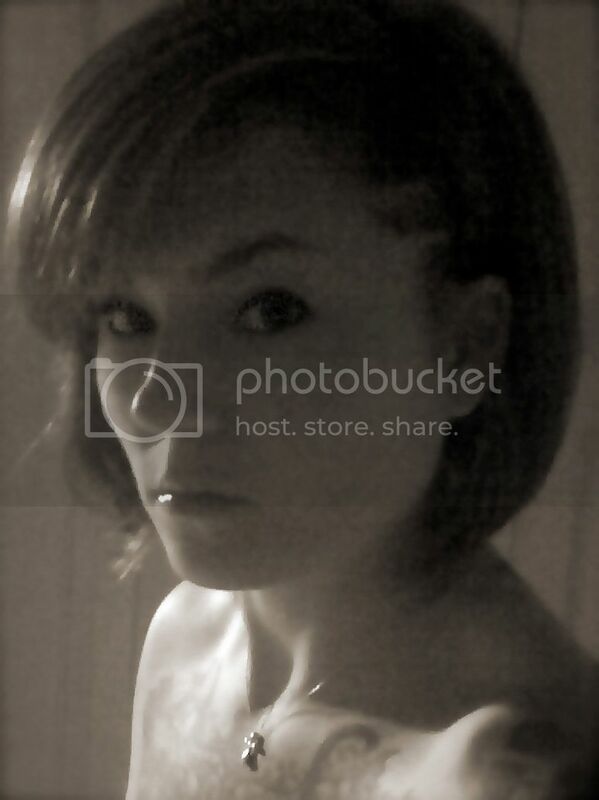 I like this Sepia/Scene photo! She's very pretty--Happy St. Patricks day! I can't believe that she took that with her phone. I think I need to get a new camera phone. But then I always have a camera in tow so I guess the one on my phone shouldn't matter so much. I love the festive shamrocks on your header! Have a happy St. Patrick's Day! Beautiful portraits in sepia. She looks nice into this soft hue. Your niece is lovely. Great photo from a phone. Hope you are enjoying St. Patrick's Day Mary! Cute kid, MaryT! That photo is from a phone? Amazing! love phone cameras! I think this niece is a star! The word 'lovely' is what most say. And see! Add me to this lovely person in a soft sepia glow! What an interesting picture. I'm thinking she looks very different in real life. The picture has sort of an other-worldly quality to it. Thanks for all you do, love the new background!